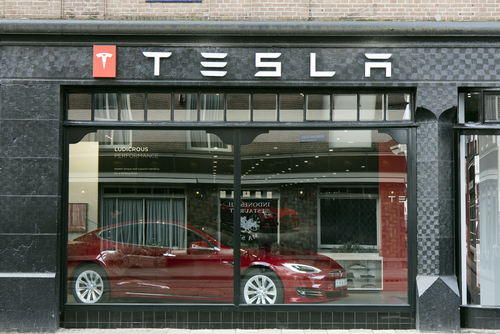 Tesla Inc. (NASDAQ: TSLA) shares up almost 2% Monday, after Baird analyst Ben Kallo reiterated his outperform rating and raised his price target for Tesla shares to $411 from $368, representing 15 percent upside from Friday's close, according to CNBC. "We expect strong demand for the Model 3 and believe the total addressable market will likely be underestimated, but think it will be an ongoing process to ascertain global demand," analyst Ben Kallo wrote in a note Monday. "Tesla remains one of our top picks for 2017 and we are raising our price target as we continue to believe a successful Model 3 launch will be an inflection point for the stock." In the 2nd quarter financial report for 2017 Tesla indicated that the, Model 3 has been designed to be affordably priced and to provide compelling customer value, even without government incentives, while achieving a target gross margin comparable to Model S and Model X as production scales into 2018. With no advertising, paid endorsements or guerilla marketing campaigns, Model 3 net reservations have still steadily climbed every month, and have even accelerated further in recent weeks.